What can we say about Kenyans on the internet that we haven’t said before? They are creatively hilarious and continue to surprise us with some real comedy gems every now and then. The latest gem to catch our eye is a short edited clip of the Luhya version of popular American animated series, The Powerpuff Girls. 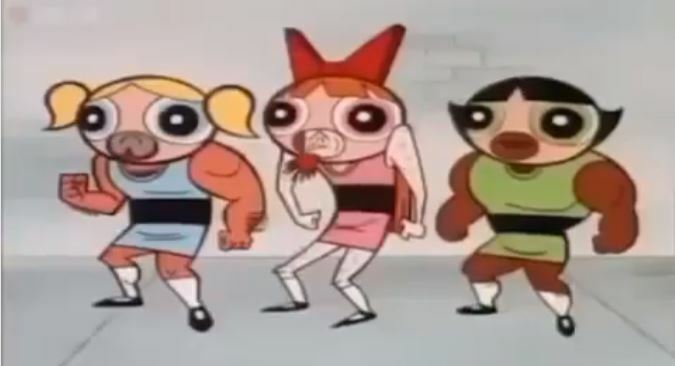 The superpowered sisters Blossom, Bubbles and Buttercup were accidentally created in a lab by Professor Utonium and dedicate their lives to save Townsville from evildoers such as Mojo Jojo and the Gangreen Gang. For those of us who watched the golden age of Cartoons, you can most certainly remember the opening theme for the Powerpuff Girls that detailed how Professor Utonium accidentally made the girls using Sugar, Spice, Everything Nice, and Chemical X. Well, in the Kenyan Luhya version, there’s an interesting and obvious twist in the genetic makeup of the girls. Check it out below. We are still trying to find out who did this because they deserve a medal.